Small and seemingly insignificant events occur every second of every day in every place on earth, hidden and unknown beyond the direct particpants in the course of their daily lives. Dramas unfold at every level, from far above the atmosphere to the microscopic. Please read on as I regale you of one such insignificant and inconsequential trek, through seldom walked scrub to a little known destination. Sometimes the pea-shooter over my shoulder reaps a rabbit for the following day’s meal but on this occasion my Lowepro back pack was shouldered, tripod attached while carrying camera, 70-200 Nikon glass with 1.4 teleconverter in between. The Pohangina river flows from the Ruahine mountain range, coursing south along the foothills to Ashhurst township, where it meets the Manawatu river, the combined flow skirting the city of Palmerston North and onto the western coastline meeting the ocean at Foxton Beach, around 35 kilometres from Palmerston North. An unfriendly tramp through dense unyielding undergrowth, littered with dead leaves, broken branches and heavy cover over uneven ground often giving way only to thickets of wild blackberry (the source of dark purple fruit stains still visible in my mouth on arrival back home during summer months) opens eventually to a small lagoon. Nestled at the base of the 300 or so foot high, steep river bank the stream feeding this micro swamp-land empties into the Pohangina river undercover of lush watercress canopied by Willow and Wattle. The kilometre or so walk takes much longer than the usual 8-9 minutes of a brisk walk along the roadside over the same distance. Crossing the Pohangina river is the first obstacle, only about 250 yards down to where the small creek next to our house feeds into the river. The flow, though not usually quite to waist height at the creek entrance, is quite swift with slippery river rocks underfoot making for tentative crossings carrying several thousand dollars worth of camera gear! The extraordinary amount of rain this season has kept the river levels high. Local council have had dozers and other earth moving equipment in the river bed moving river gravel from here to there but the river makes its own way – each flood yielding a different river scape at the will of the water or rather He who gives life and water. Along the way there is opportunity to cut across farmland as I did on this occasion. 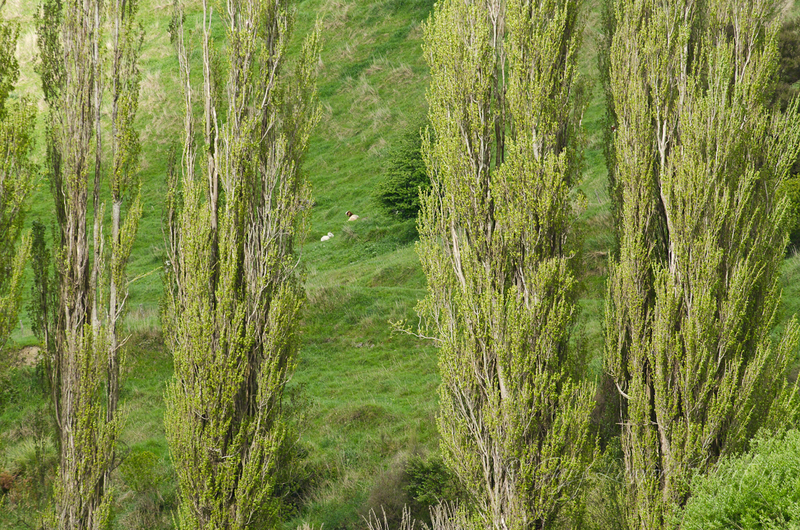 The land owner, apart from milking cows, has several Boer Goats that roam and graze along the steep river banks. As seen in the distance here there is an addition to this red faced, white bodied goat family in the form of a half grown white youngster. Other goats are not far off enjoying the sunshine. 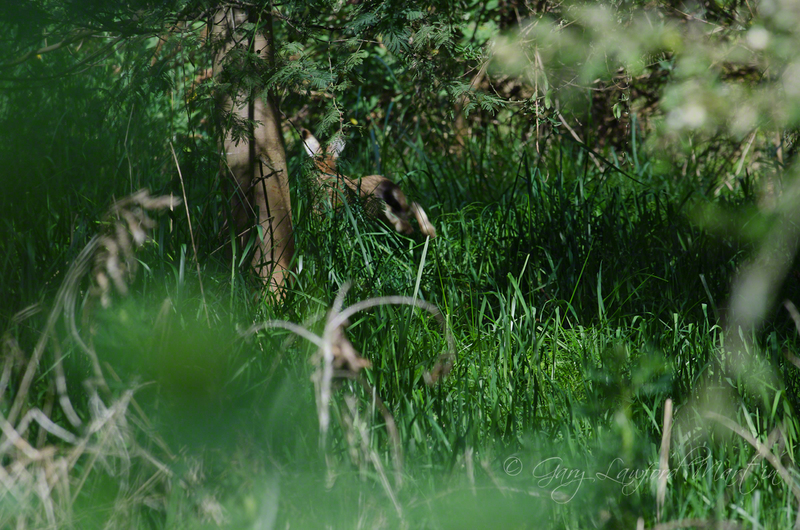 Further along a rabbit sits, watches and waits, deciding just how close to allow this outsider to approach before breaking to cover – only a few more paces beyond this shot actually – stopped at the tree line until I was in view again then disappeared into the shadowed undergrowth. 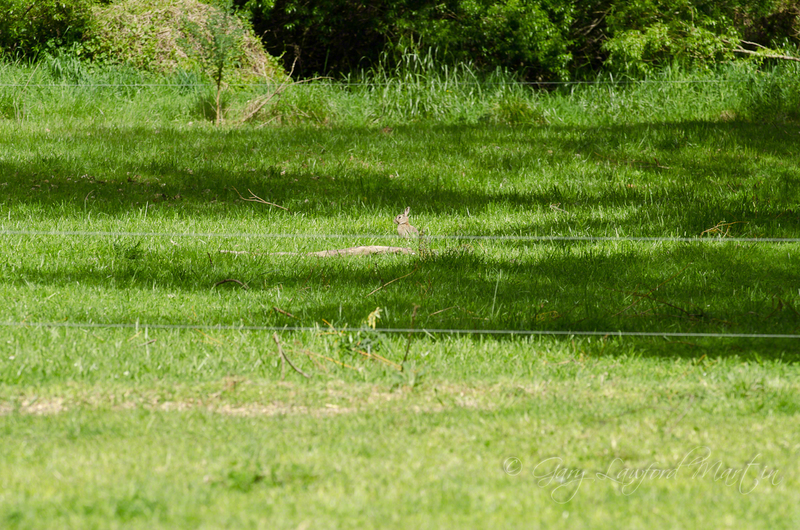 I followed the rabbit into the trees, soon to be ducking, pushing and even crawling through the entaglement. Progress being very noisey and disturbing to the locals (wild life) I made my way to a clearer area and just sat awhile allowing peace to settle again. Time to watch and listen and become more aware of my surroundings. First noise of movement in the long grass was a Hare making exit, not going far slowly making through the dead leaf-fall. The next visitor was the effervescent Fantail. Well, it was not really visiting me but more interested in the insects that were interested in me. A beautiful friendly little bird, not shy of people. 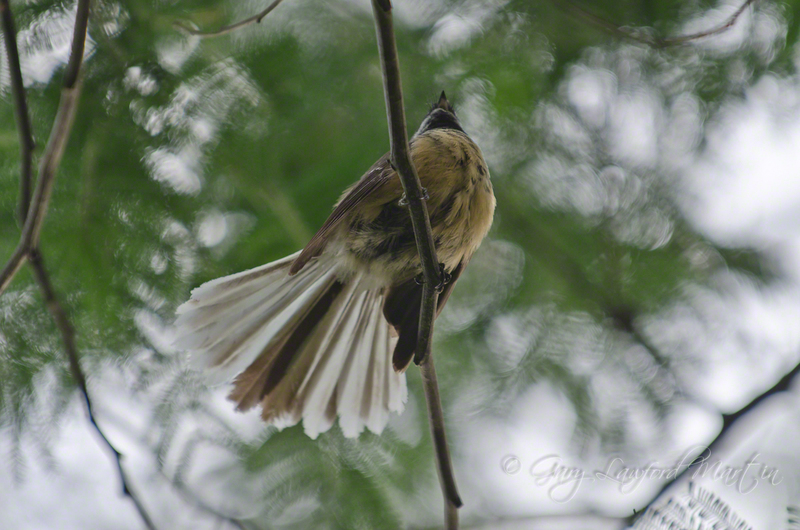 I don’t think it is possible for a Fantail to remain still for more than half-a-second, left – right – spin around – spin back – up a branch – down a branch – out and do a figure 8 – back again! 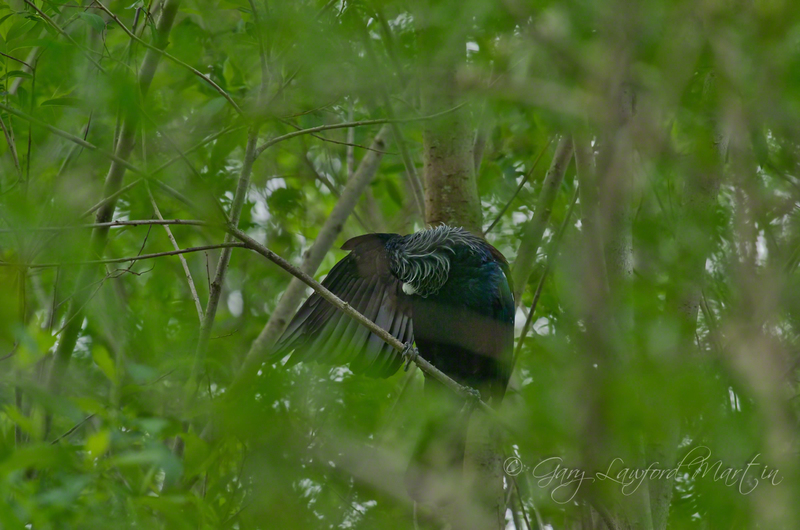 This is one of a series of rapid fire exposures while the Fantail flitted above. 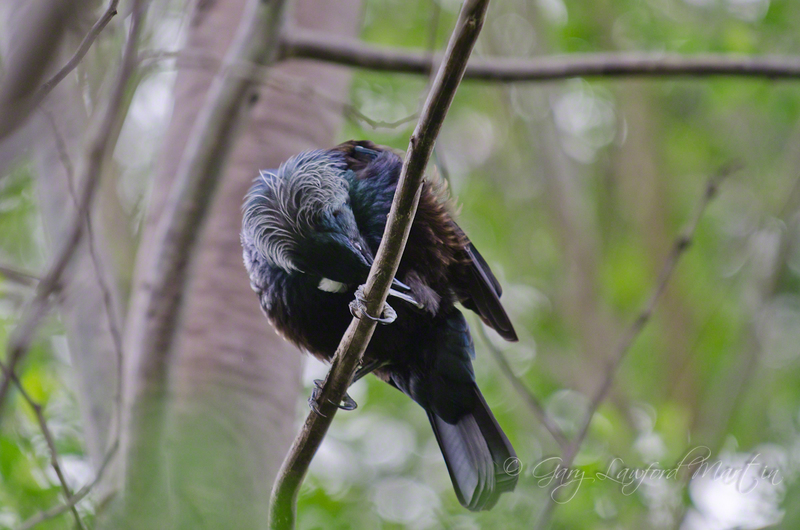 Before making for the lagoon at the small swamp a Tui swished into thick foliage and began preening. 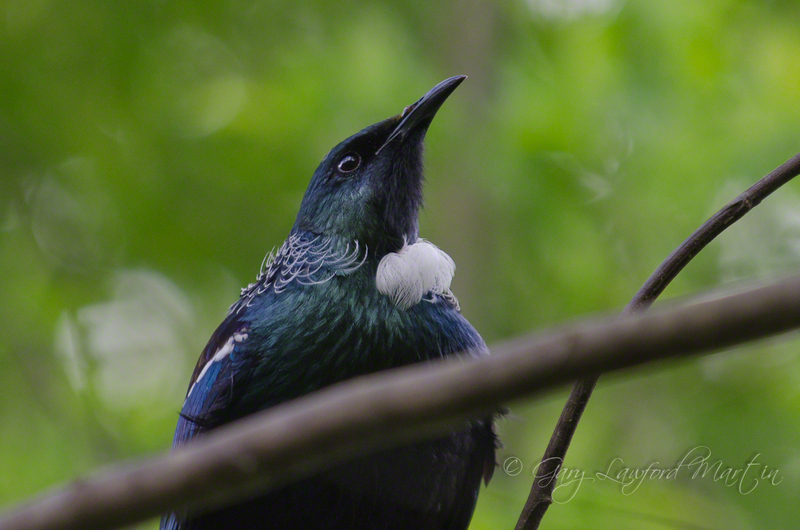 The New Zealand native Tui is not only distinct by its plumage, giving rise to the nickname of Parson Bird, but also movements and sound of flight. Each bird has its own particular flight sound and style. 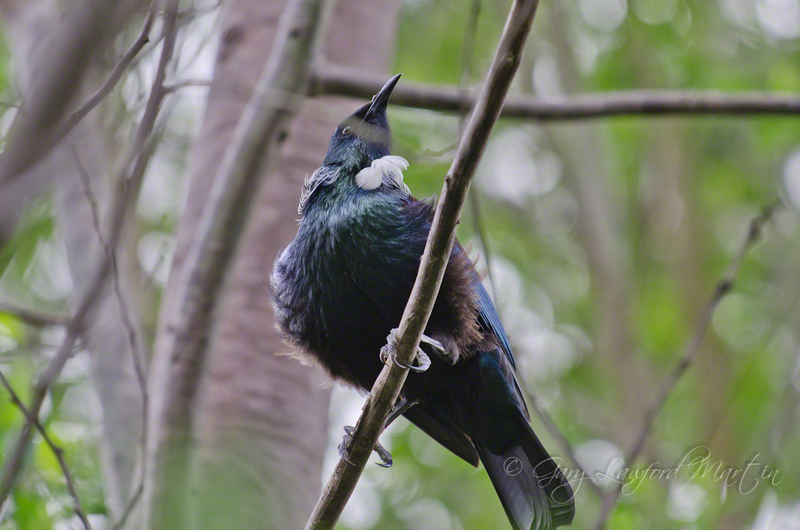 Sitting and listening to Tui song reveals the unbelievably many different sounds they make from bellbird-like chimes and chings to very soft and varied whistling, chirping and twittering – all beautiful melody. It seems to me that birds spend most of their day in song and worshipping their Creator. After some preening the bird came closer into the open and actually bent over to check me out then decided to stay a while and continue with some self maintenance. Now on my way again, the lagoon is about 60-70 yards through the thicket. Soft long grass makes progress quiet and pleasing. 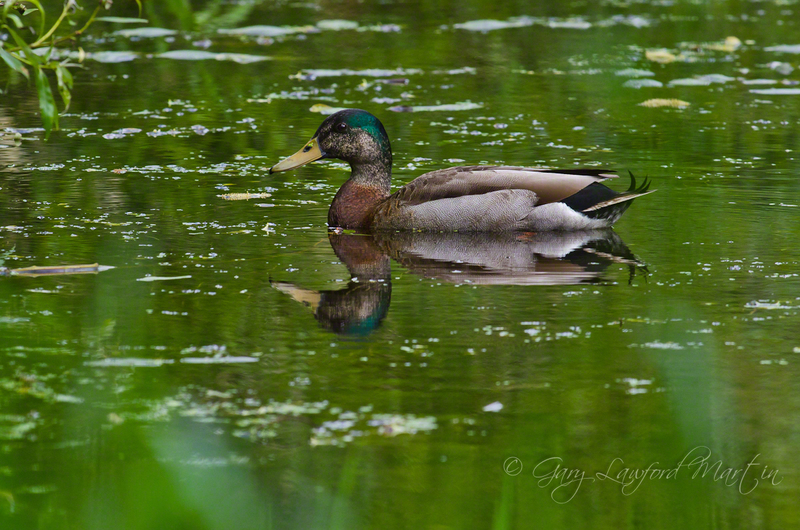 Ducks – Mallards, on the water. One is in view, others I can hear but they are obscured. 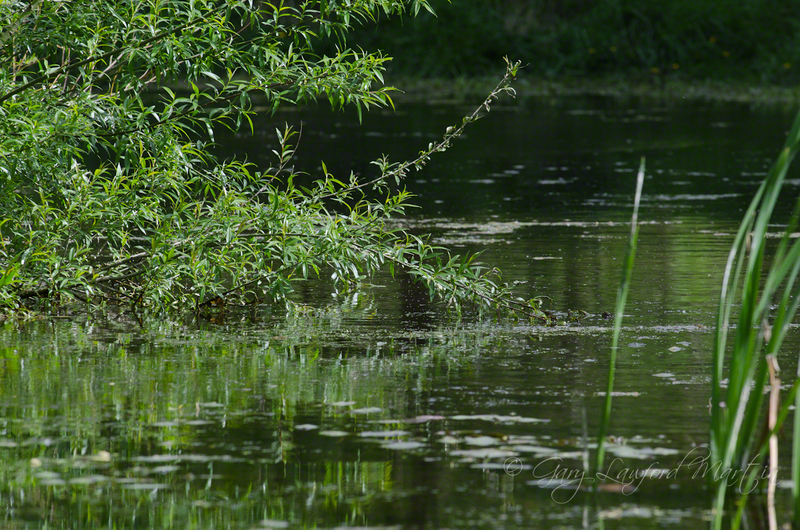 Catching sight of me prompts a panicked scramble across the surface of the water and into the thick growth lining the banks. 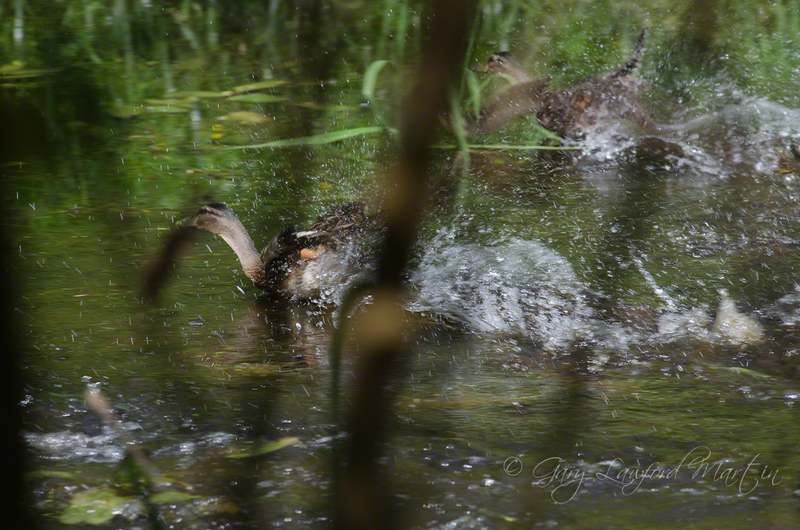 Following the ducks to the north end of the water body, I set up the tripod behind foliage cover with a view over the water. Two Pukekos (swamp hens) are chirping way in the trees not far away. 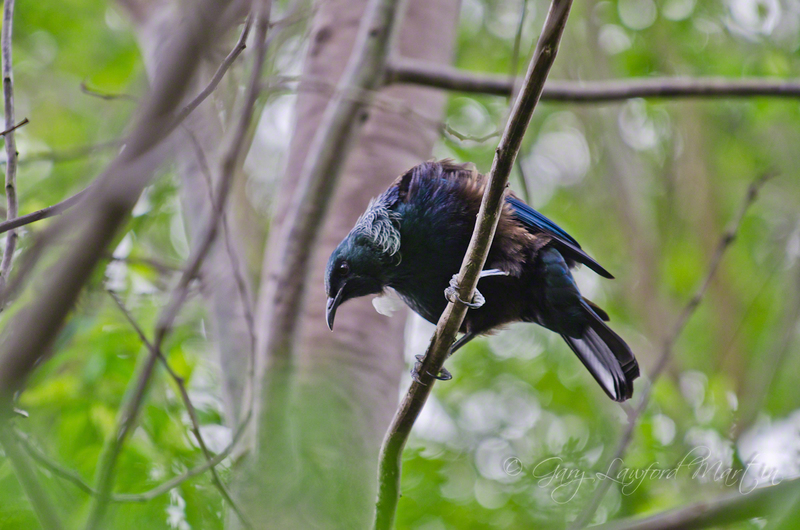 It is too early in the day for them to be roosting – the Pukeko often roosts in trees at night. Their chirping varies from their usual shrill scream to very soft and quiet sounds. It was ongoing. 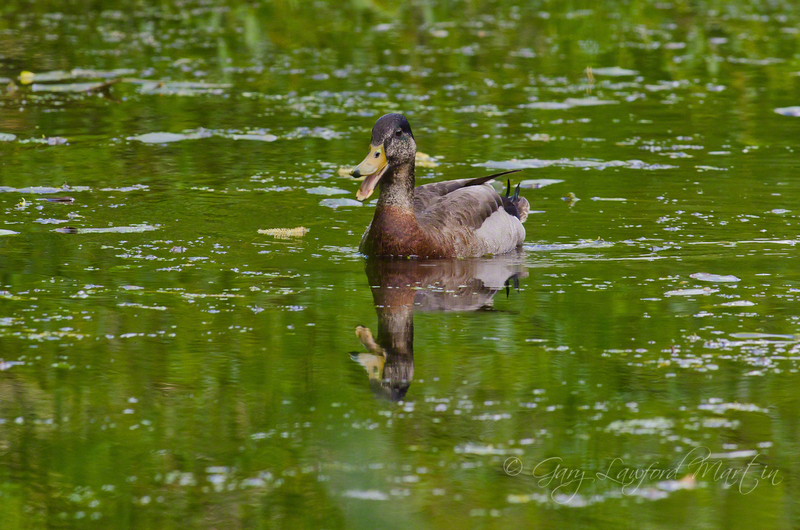 A young Mallard Drake arrived with a splash voicing his arrival to no one in particular, sat for a while then slowly made for the willows overhanging the water. Two Mallard ducks soon joined the male. 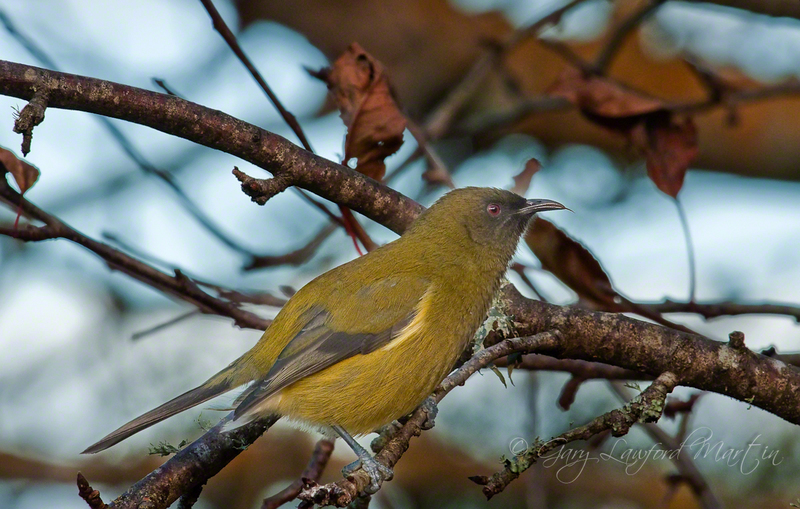 All the while the two Pukekos are fidgeting in the trees, up and down to the ground below and back up, chirping and squealing, not seemingly doing much else. 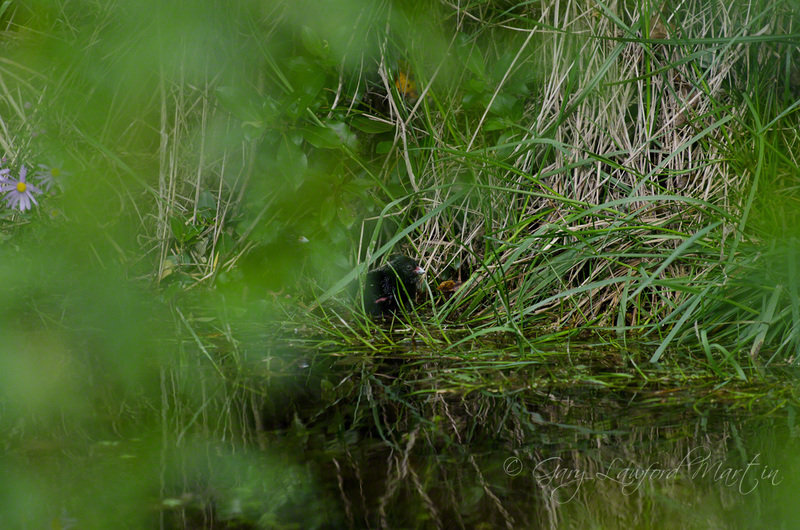 After some time with only the Pukekos for company I moved position to the southern end of the lagoon, setting up some cover and some heaped grass for a pew and settled in behind the camera for another wait. 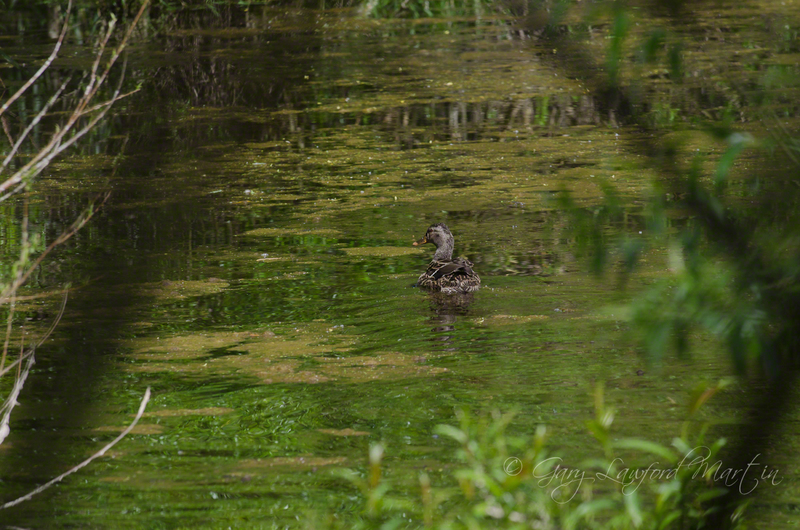 Patience … easy enough in the solitude of such a peaceful environ ambienced with bird-song. The two Pukekos continue to sound off, then a slowly approaching muffled fsssth-fsssth-fsssth comes to ear, across the water and low. 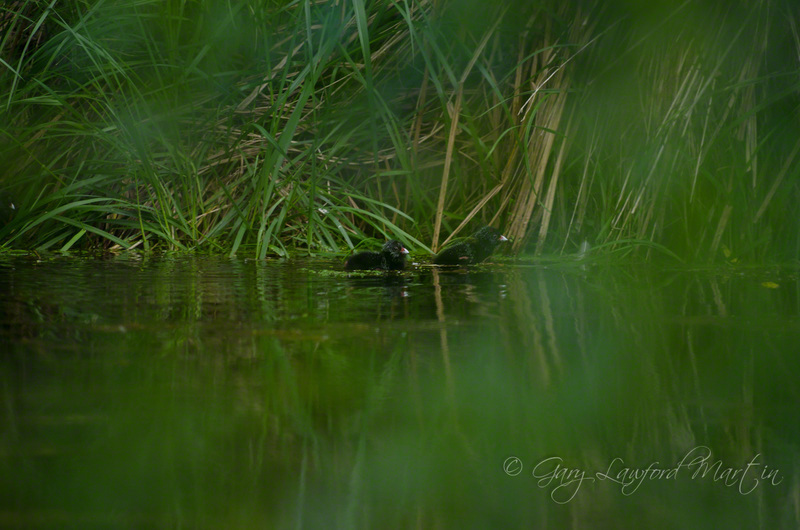 Scanning the shoreline for the source of the muffled sounds revealed movement in long grasses edging the water. 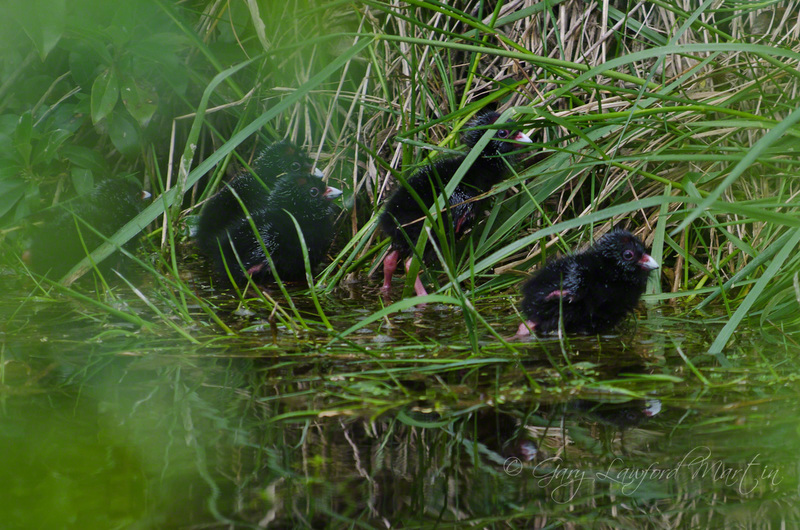 Small black shapes emerged – chicks, fluffly jet black, red legs, white beaks, red around the base of their beaks and red ontop of their not-yet-feathered heads – baby Pukekos, beautiful! 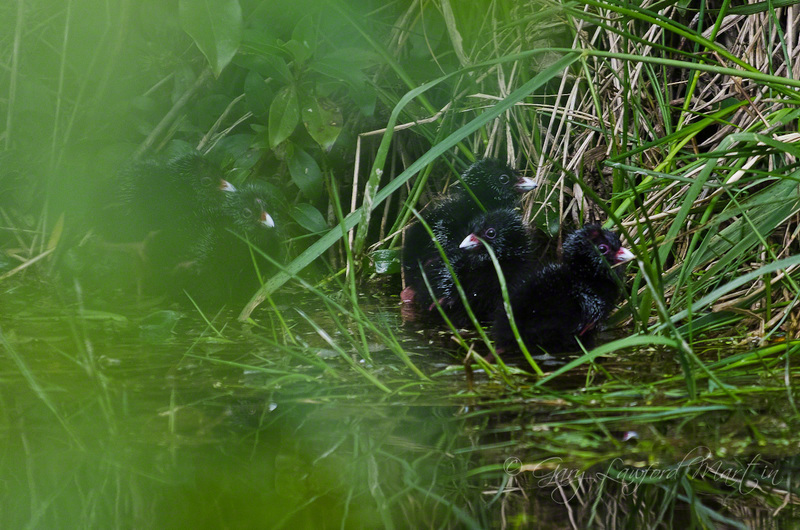 The chicks made their way across the water’s edge and out of sight. 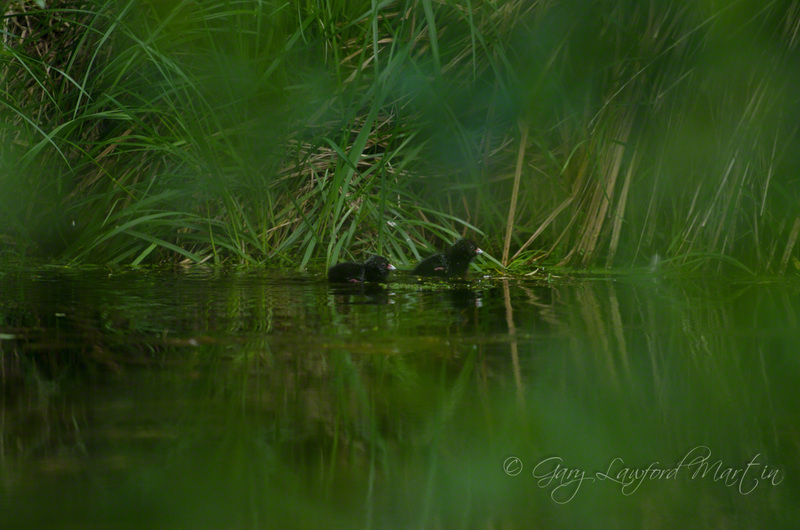 Quickly grabbing my camera I selected a line of sight through the willows where hopefully the chicks would reappear. 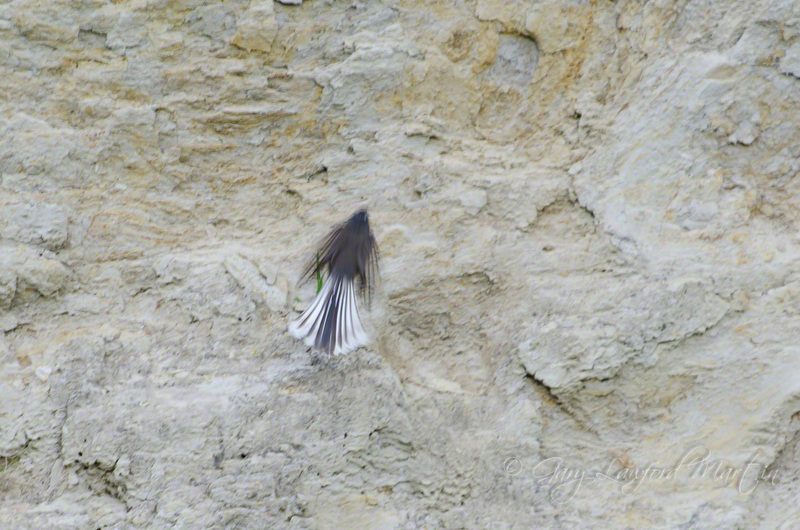 Another Fantail was working the cliff face opposite. 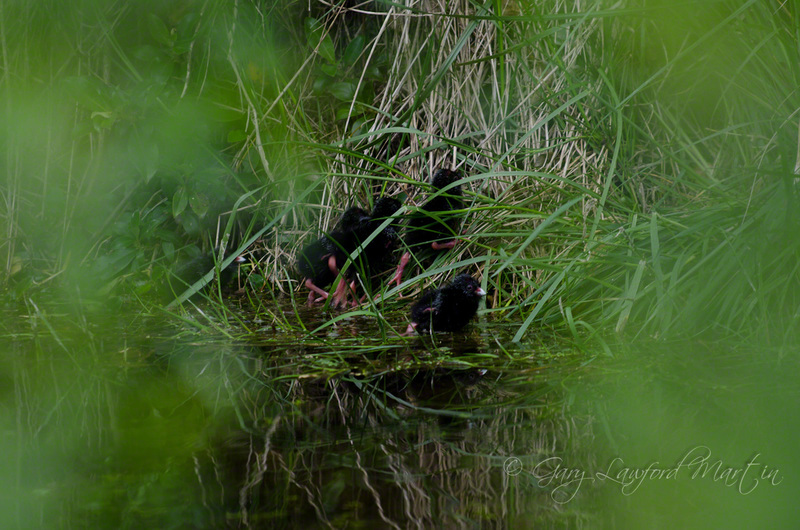 Small black furry shapes reappeared with the constant muffled fsssth-fssssth-fssssth and the two adult Pukekos gently chirping their young ones on. 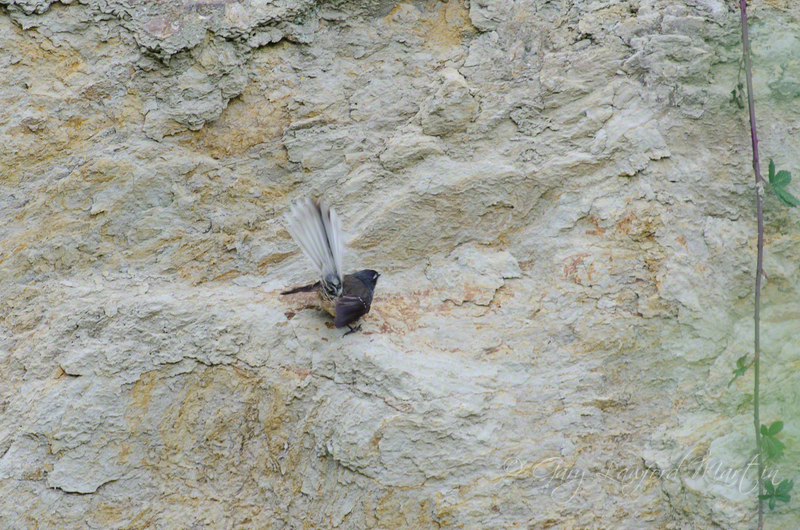 One of the adult birds climbed the steep bank, patiently calling, coaxing and encouraging the young out of their hesitance, calling them to follow. I am privileged to have seen this small journey and wonder the all the never-seen interactions – the intricacy, the intimacy, the vastness and the beauty of creation. Great photo essay. Makes me want to wander along the trail with you! Most of us don’t get to see our bird life in the wild like this. Hope to see more from you like this.